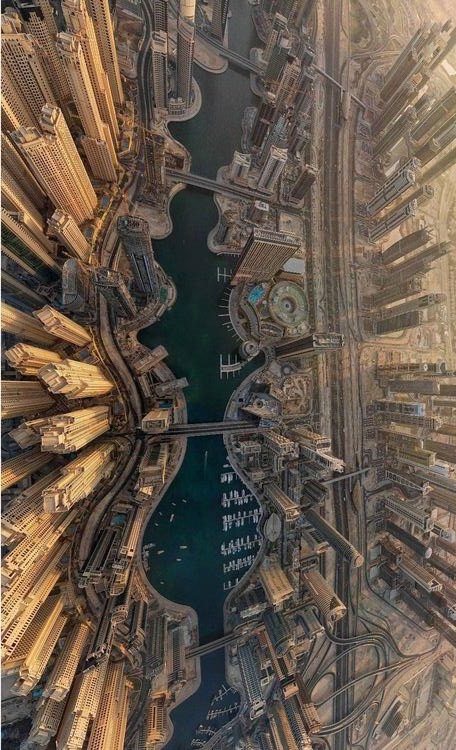 Dubai is a city-state in the United Arab Emirates, located within the emirate of the same name. The emirate of Dubai is located southeast of the Persian Gulf on the Arabian Peninsula and is one of the seven emirates that make up the country. It has the largest population in the UAE (2,104,895) and the second-largest land territory by area (4,114 km2) after Abu Dhabi. Dubai and Abu Dhabi, the national capital, are the only two emirates to have veto power over critical matters of national importance in the country's legislature. The city of Dubai is located on the emirate's northern coastline and heads up the Dubai-Sharjah-Ajman metropolitan area. Dubai is nowadays often misperceived as a country or city-state and, in some cases, the UAE as a whole has been described as 'Dubai'. The earliest mention of Dubai is in 1095 AD, and the earliest recorded settlement in the region dates from 1799. The Sheikhdom of Dubai was formally established in 1833 by Sheikh Maktoum bin Butti Al-Maktoum when he persuaded around 800 members of his tribe of the Beni Yas, living in what was then the Second Saudi State and now part of Saudi Arabia, to follow him to the Dubai Creek by the Abu Falasa clan of the Beni Yas. It remained under the tribe's control when the United Kingdom assumed protection of the Sheikhdom in 1892 and joined the nascent United Arab Emirates upon independence in 1971 as the country's second emirate. Its strategic geographic location made the town an important trading hub and by the beginning of the 20th century, Dubai was already an important regional port.